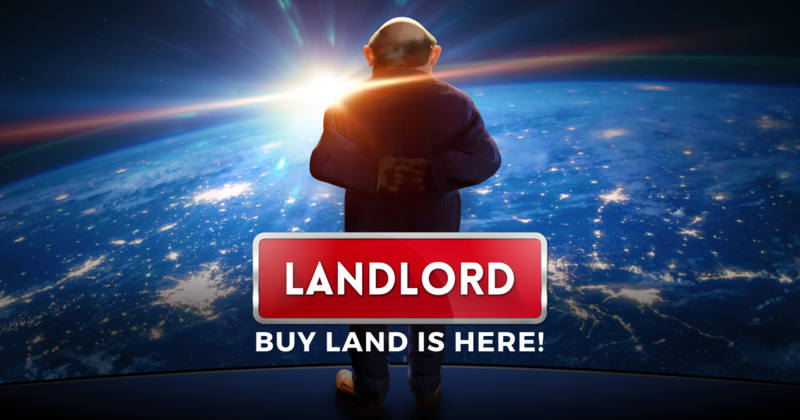 Buy Land update allows the higher level players to spend their earning from properties to buy lands. In the previous announcement post we mentioned, that the lands don’t bring any rent. So why investing in them? Additionally, owning lands also makes you a candidate to become the main owner of the district, city, administrative area or even the whole country. And this is the whole new experience! So if you can’t find any valuable property around or you are tired from the Marketplace – try investing in Lands! 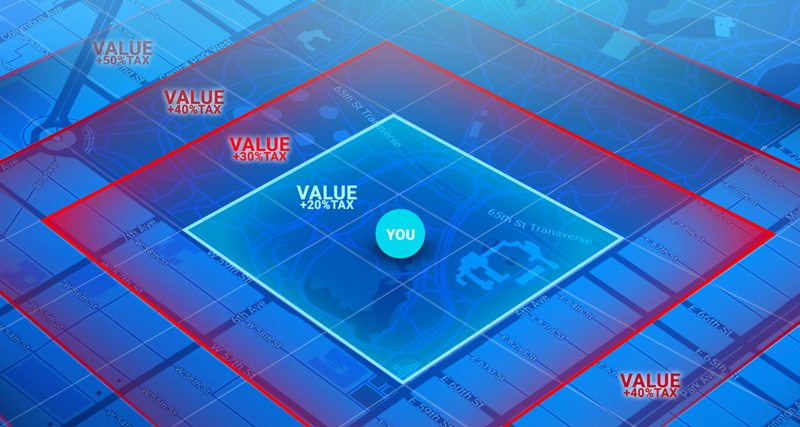 Buy Land feature was designed as a high-end content, which means, it’s suitable for the Players higher than 40 level. The feature will be available starting from level 30, but on this stage of game the prices for the lands may look too high. We’ve wrote already, how the lands value is calculated. Now it’s time to talk about taxes. The taxes exist to make players walk or drive to the prefered lands to buy them cheaper. More lazy players will need to pay more in cash, but the adventurous ones will have an advantage. For now, lands have basic tax on 0,5 kilometre distance. The further is the land, the higher is the tax. In the same time price in coins grows only a little. For those, who think, why it took so long for Buy Land to appear on you phones, here is the answer. The feature is big and complicated, but what the most important – we were making it, taking players’ requests in consideration. Then, we released the closed beta version on a separate server, where testers spend several weeks. We collected feedback, added some features, changed some parts of the game. Now it’s ready for the open beta, which means it will be released for everyone on the main server. As our player will have to spend their own game cash and coins on the Lands, all the progress WILL BE SAVED. So why is it still in beta? Because we keep collecting your feedback and observing the game activity, that is why some features of Buy Land may be changed, removed or added. After some more work and polishing, the update can be called the final version. 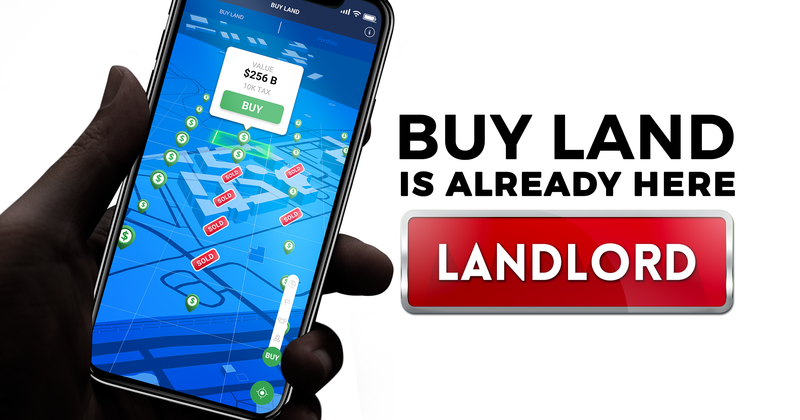 We are planning to adding more functionalities for related with Buy Land, so stay tuned!